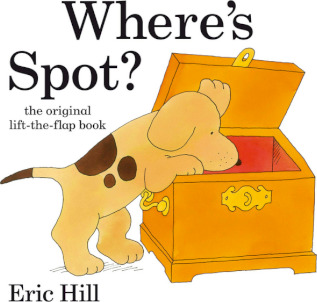 Join the hunt to find lovable puppy, Spot, in Eric Hill's first ever lift-the-flap tale! Lift each flap to find all sorts of funny animal surprises, before discovering where cheeky Spot has been hiding. This is the perfect first book for little ones - the playful text is a wonderful spur to read and respond together, and the hide-and-seek flaps encourage curiosity and interactivity. This is a reissue of the bestselling board book, now in a smart cased-board format with sturdy, toddler-tough flaps!